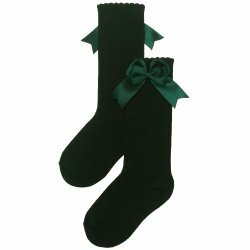 Knee high bottle green socks in a high quality material for babies and toddlers girl. 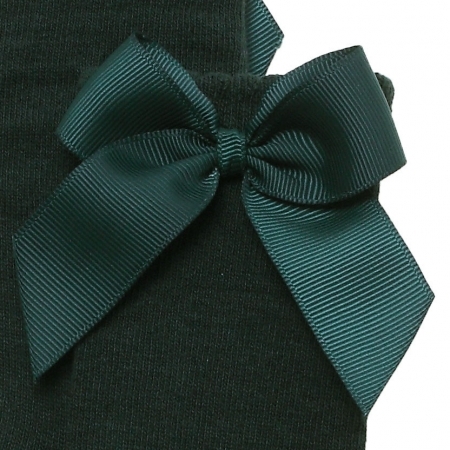 The bows are in gros grain ribbons and not satin ribbons. Very high quality wash well and keep in shape well. Bows are on the side of the socks. Scallop edge opening is gently elasticated and very good at keeping its shape. The socks won't drop down.